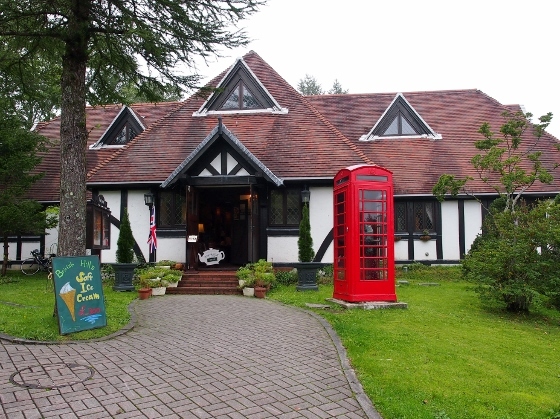 Today I visited British Hills in Hatoriko-Kogen heights, Ten-ei Village. 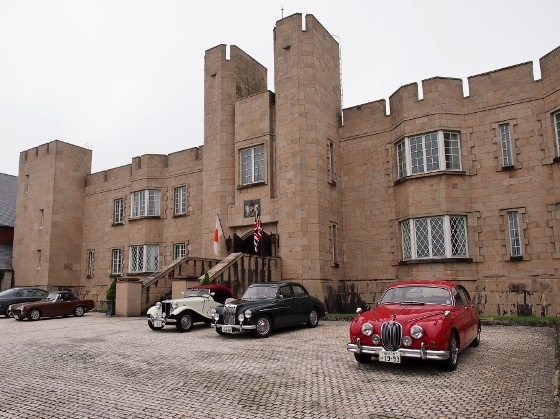 This is a large complex aimed for British culture and English language experiences for Japanese. On the way to the entrance of British Hills, a large wind turbine welcomed us as shown above. Actually there were two of them. 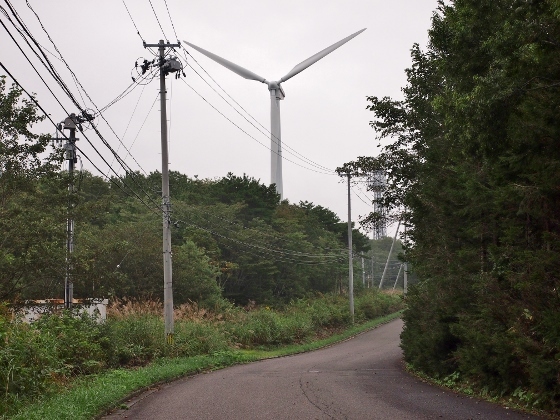 These wind turbines supply electricity for Ten-ei Village. 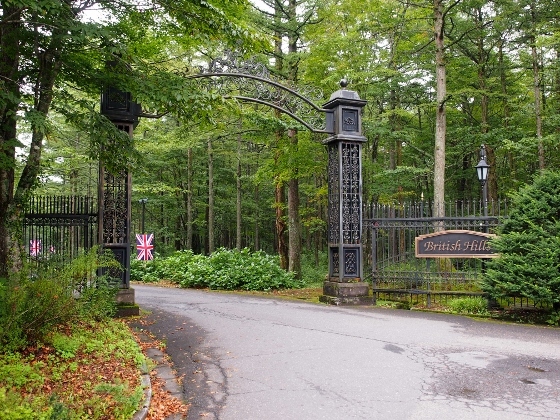 Picture above shows the entrance gate of the British Hills complex. Finally at the end of the long entrance way, there appears a large Manor House building as shown above. On the way to the Manor House, I found an Armstrong Cannon. 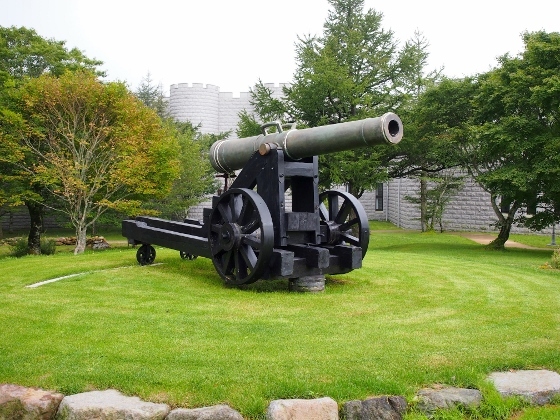 The same type was used in Boshin War in Aizu during 1868. 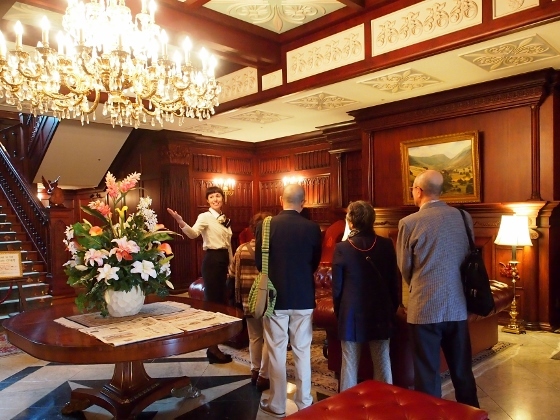 Our group (Omotenashi Guide Fukushima) had one-hour Manor House tour with an excellent tour guide in native English. One of the scenes is shown above. 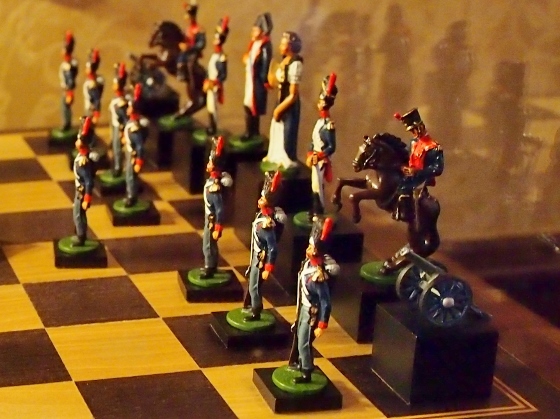 I also found an interesting hand made chess set of real figures as shown above. After the tour, we had an excellent afternoon tea lunch of British style at the Ascot teahouse shown above. 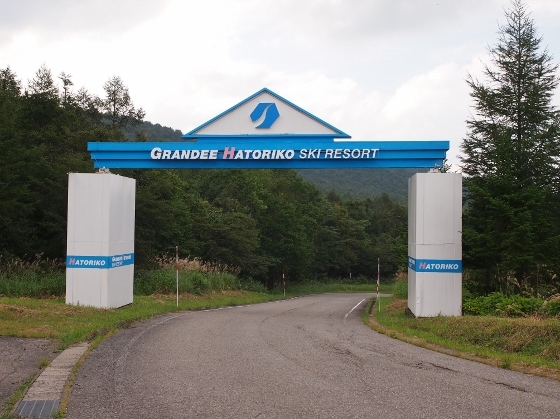 Today I visited Hatoriko-Kogen Heights in Ten-ei Village. On the way, I stopped at Lake Fujinuma in Sukagawa City which had collapsed entirely during the East Japan Earthquake four years ago. 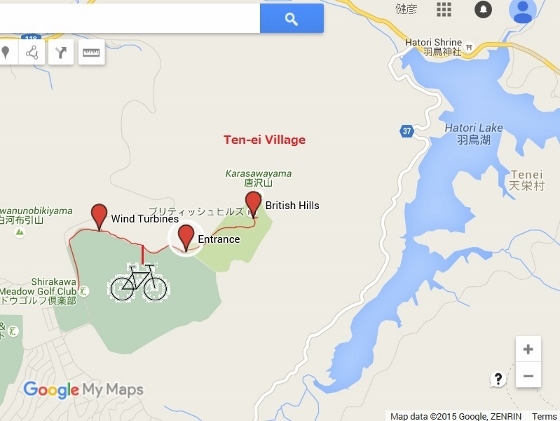 On the way to Hatoriko-Kogen which means Lake Hatori Heights, I stopped at Fujinuma Nature Park. 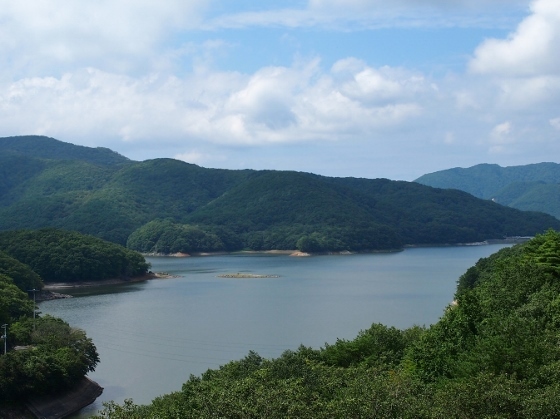 It includes Lake Fujinuma which is an artificial lake mainly for irrigation purpose. 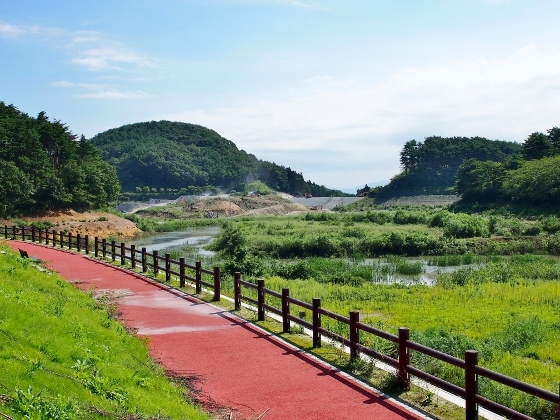 This lake had collapsed entirely during the East Japan Earthquake 4 years ago and is under restoration work. Today the lake looked as shown above. It's not a lake and a construction worker said to me it will take another two years to restore as it was before. 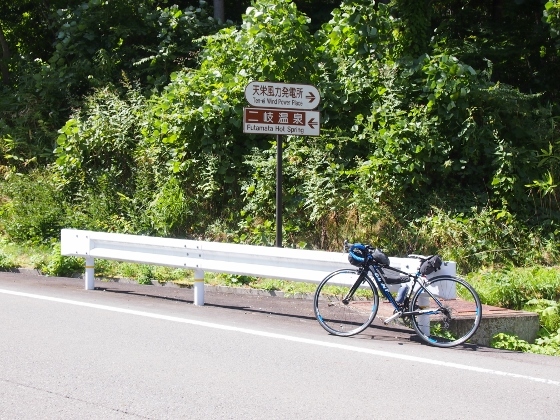 Heading for Ten-ei Village, I had to climb up a hill and pedal over Hosaka Pass. 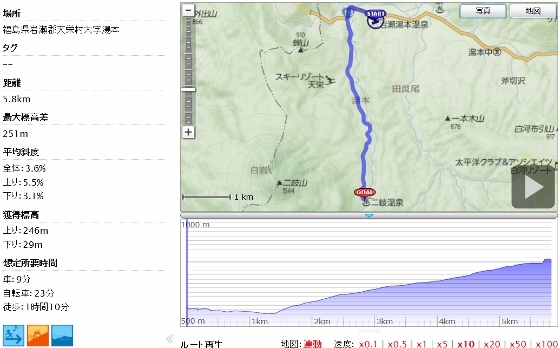 Above sign shows that I have to climb from 410m up to 822m in altitude on National Route 118. 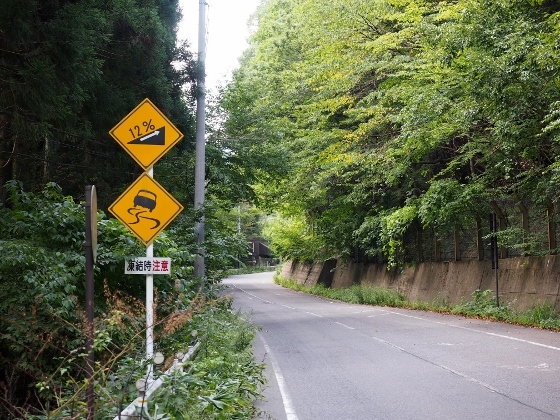 Another traffic sign shows that the slope is 12%. 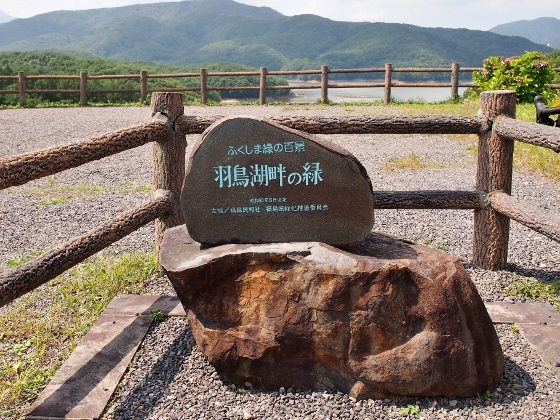 Soon after I passed the Hosaka Pass, there came a scenic observatory for Lake Hatori as shown above. 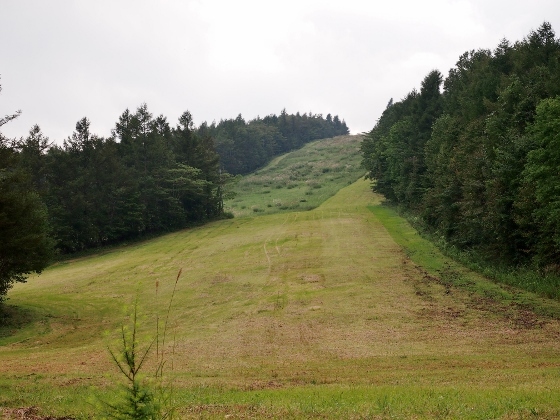 Surrounding area had been selected as one of best greens of Fukushima as the stone monument above shows. 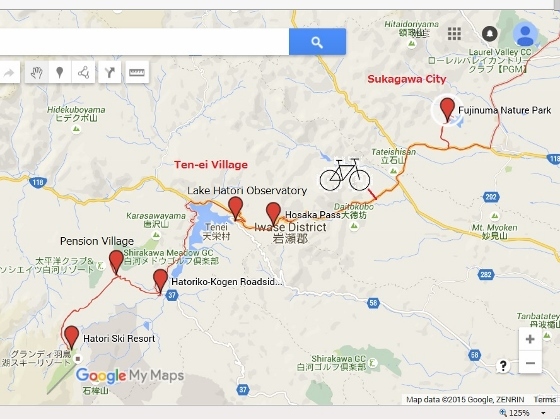 Then I moved to Hatoriko-Kogen Roadside Station shown above. This is a quite small roadside station but it has some specialties such as delicious fresh apple juice made from local fresh apples. After lunch I again climbed up a steep slope toward Grandee Hatoriko Ski Resort as shown above. 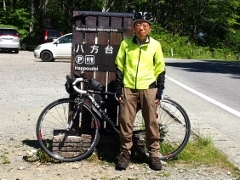 Finally I came back to the pension village where many pension houses stood on the Hatoriko-Kogen heights. 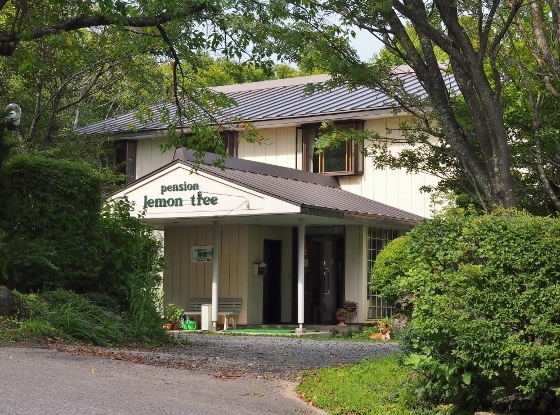 Tonight I stayed at one of them called Lemon Tree as shown above. I think my choice was right as the inn was clean and comfortable, bath was very relaxing, and the dinner was delicious. 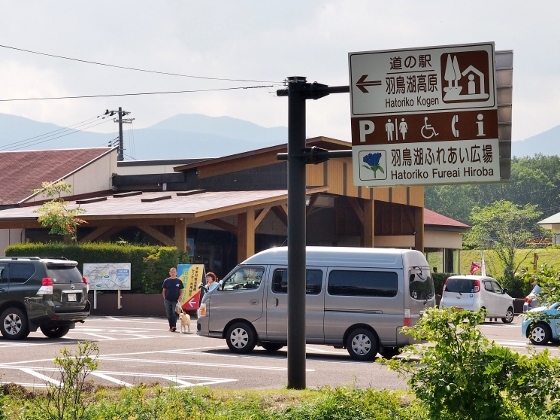 Soon after I left Iwase-Yumoto Hot Spring, I found entrance sign for Futamata Onsen on the Route 118. 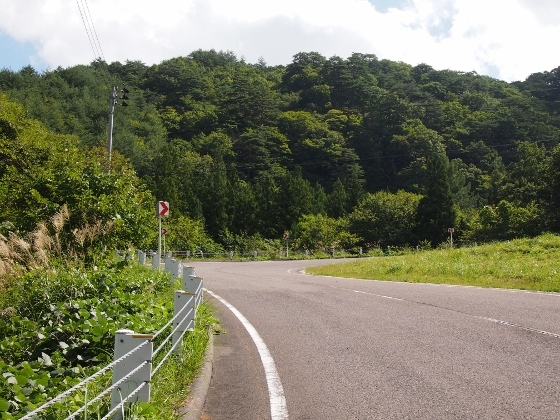 It was a 5.8km hill climb before I reached Futamata Onsen. I climbed up through the fine scenery as shown in the picture above. 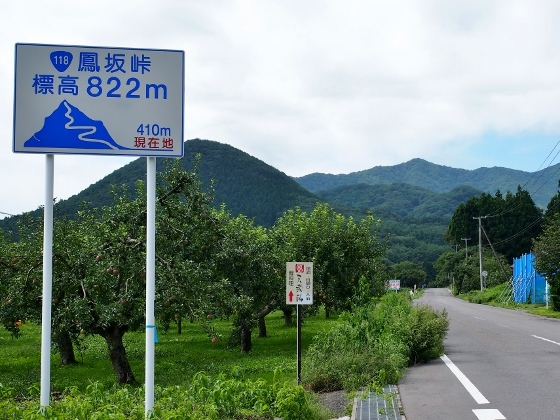 On the way, there was an entrance sign (the first picture above) for the mountain road towards Ten-ei Wind Power Plant. Since it was a steep dirt road, my road bike could not enter. Afterwards, I climbed up to the middle of Mt. 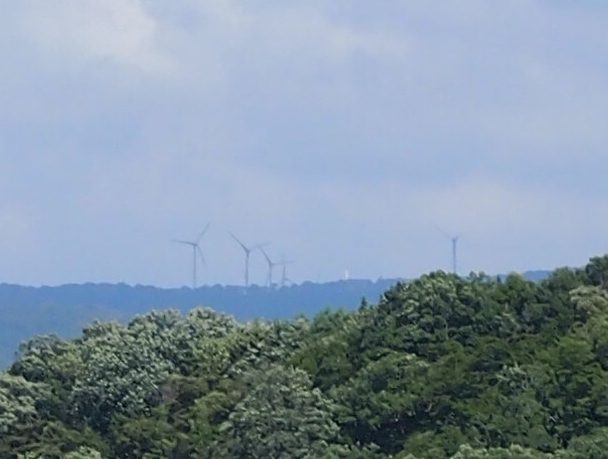 Futamata on foot, and took the next picture which showed five wind turbines for the Wind Power Plant. 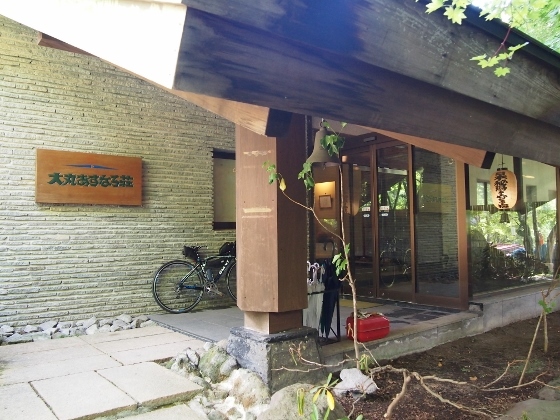 Tonight, I stayed at “Daimaru Asunaro Lodge” which was a member of “Japan Association of Secluded Hot Spring Inns”. Above pictures show the entrance gate and the entrance of the lodge. 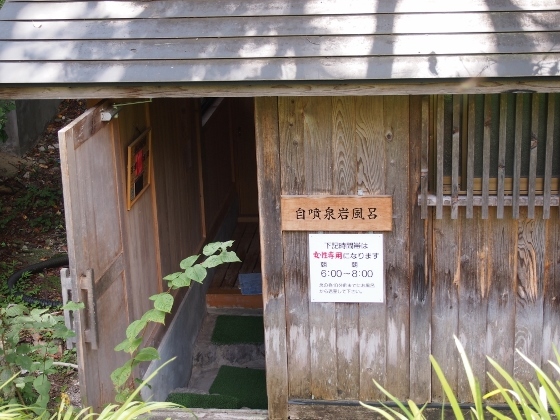 Here, they had naturally welling up hot spring and the hot spring water flooded the bath as it was. The first picture above shows Rock Bath of the kind. Since the hot spring welled out with 54 degrees Celsius from beneath, with only natural surface cooling, the temperature of the bath was very hot. 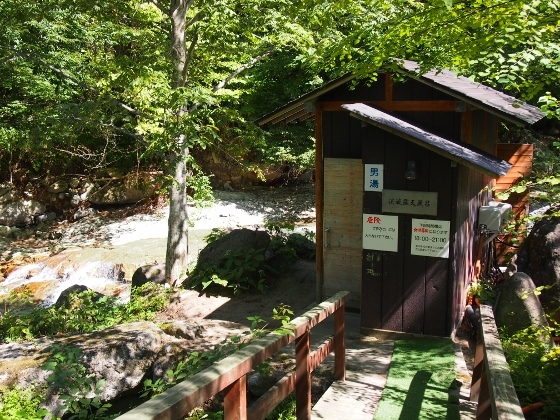 The next picture shows open-air bath just beside a river. In this case, the hot water was piped to the bath with appropriate pipe cooling. 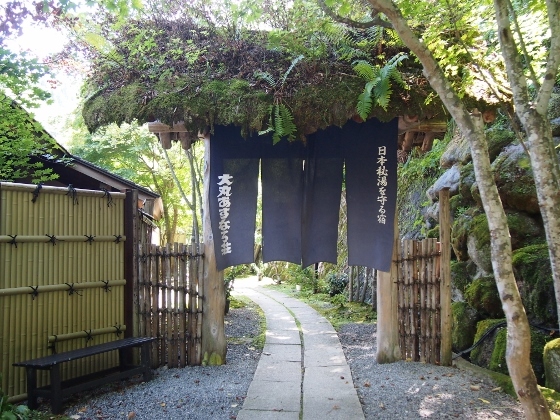 They provided the highest quality hot spring baths.